DON’T try to overload it with information – a car magnet is not a business card. It doesn’t need to have all of your information on it, just the most important stuff. Even just a name, phone number, and photo can help you build recognition, and people can easily google you to find out more contact details. DO make sure it’s readable at a distance. Obviously, a car magnet isn’t an instant lead-generator. No one is going to drive past you once and instantly whip out their phone to give you a call. What a real estate car magnet is perfect for, though, is building familiarity. People start to see that realtor who’s always out driving clients around, whose face is on yard signs all over town, and then you’ve got instant social proof that you are the hot realtor to work with. But that only works if your sign is recognizable, and readable, even at a distance. DON’T drive like a maniac. Your reputation is on the line when you’ve got a real estate magnet on your car. You want people to take note of your name when you drive by, but not because they think you’re a jerk or a dangerous driver. If you know your aggressive driving doesn’t make the best first impression, leave the magnet off (and try to slow down!). DO choose your design carefully. The benefit of a car magnet lies in recognition, so you want a sign that people will connect with your brand. 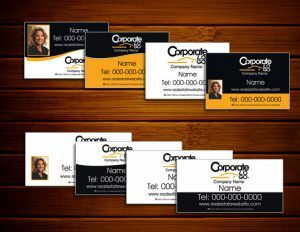 Choose colors and design elements that echo your business card, yard signs, and other marketing pieces. You also need to factor in the color of your vehicle – a color scheme that blends in with your car completely will make the magnet practically invisible, but if the color scheme is too bright and contrasting, it may end up looking cartoonish. DO consider a picture. The issue of whether or not to include a picture on your real estate business card can be a bit controversial, but when it comes to car magnets, a picture really is worth a thousand words. A magnet with no picture says, “This is a company car”; a magnet with a smiling photo feels much warmer and more personal. Are you ready to take your marketing out on the road? BestPrintBuy offers custom real estate car magnets in several design, style, and size options, so you can create the mobile marketing piece that’s perfect for your business.